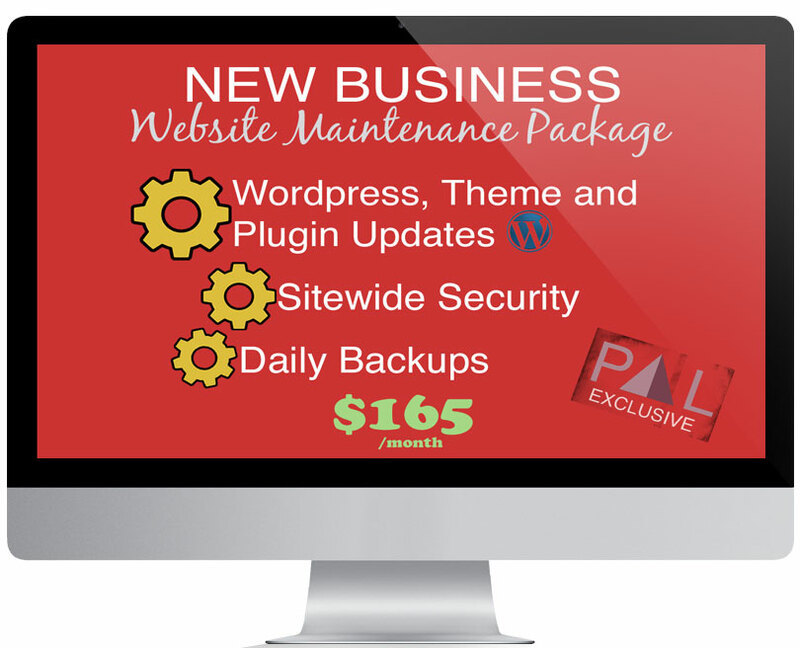 Website Maintenance Package for PALs | Prosper as LOVE! Limited Time Offer for PAL participants! For a limited time, take advantage of this introductory package for website maintenance. Offer is for PALs only! Prosper as Love’s sister site, Lead as Love, is a tech portal built to support Love Leaders, like yourself, to thrive! Passionate about working with emerging entrepreneurs, we want to encourage our PALs with new or small businesses to get the tech support they need. Website Maintenance is a vital way to nurture your online business. Regularly maintaining your website and having consistent support is critical for long-term success and will certainly keep you in position to thrive! You can immerse yourself in your craft and passion and not worry about the health of your technology, which is our passion! WHAT is the New Business Website Maintenance Package? A tech team that is a phone call away, there to guide you if you have questions or concerns. *For an additional cost some possible add-ons would be: Blog posting, Design updates, Post|Page|Media Optimizations to keep your site up to date with googles search algorithms, Direct technical support with your clients (particularly helpful if you have a membership or social network website and your clients need help logging in, paying, etc), Troubleshooting problems with themes, plugins, database, etc. Security. Security is the most important reason to keep your website up to date. Leaving your website out of date leaves it at risk. Avoid a security breach with managed and consistent updates. New Features. With updates and upgrades come cool, new, pioneering technology to play with. Wow your website visitors by staying at the front of tech developments. Compatibility. It’s not just about updates. Sometimes the necessary thing to do is to NOT update a plugin, theme, software or wordpress! Having a knowledgeable team that knows the perks and fallbacks of each individual update is vital! Your website is a grouping of individual pieces that have to constantly fit together and sometimes incompatibilities happen when a part of the site is updated. This requires foresight, testing and technical understanding of each piece of software. Performance. Every upgrade (wordpress, plugins, theme, server, etc) is constantly improving software and code to work better, more efficiently and my favorite lighter and faster! With such an abundance of options and information on the internet, a slow or glitchy website can be a fast deterrent. Stay looking good on Phone and Tablet. Updates also improve the look and feel for your users on your website. Software teams are constantly improving the responsive nature of your website to guarentee it functions well and looks good across all screen sizes. Fun Fact: 65% of website visitors are mobile! That’s more than HALF of your traffic viewing your website on their phone. It is no longer optional for your website to look good on mobile, it’s essential. WHO is the PAL Website Maintenance Package For? If you have a website, chances are you need website maintenance. This PAL Package in particular is geared to support newly emerging creatives, startups and small businesses who want to focus on their craft and not worry about technology. If you’re not sure if that’s you, contact me using the form below and we can see if your business is fitting for the PAL Maintenance Package.